Many types of cane are available in blank form. When choosing pre-made blanks you sacrifice much of the control over critical aspects of the blank. Blank thickness, diameter and length are often overlooked. The thickness usually varies a great deal. 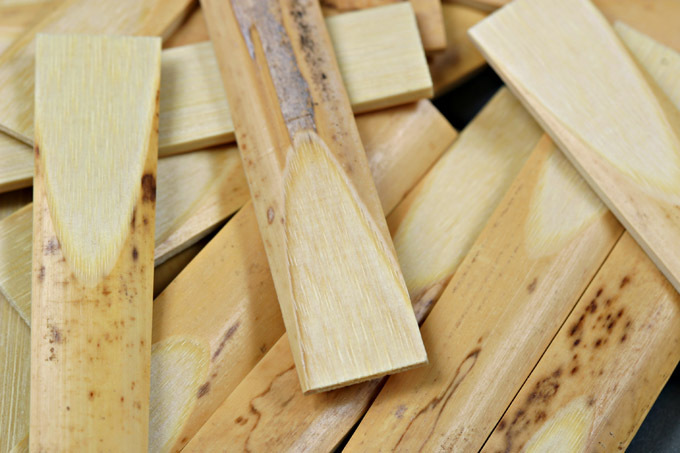 Most pre-made blanks are cut to 68mm which does not account for material that will need to be clipped at the end of the process, so you are usually left with slightly short reeds. Some pre-made blanks can yield decent reeds but I have yet to find a pre-made blank that is equal to hand made blanks. For example, I have much better success with my own RDG blanks made from tubes vs the pre-made blanks that they produce.